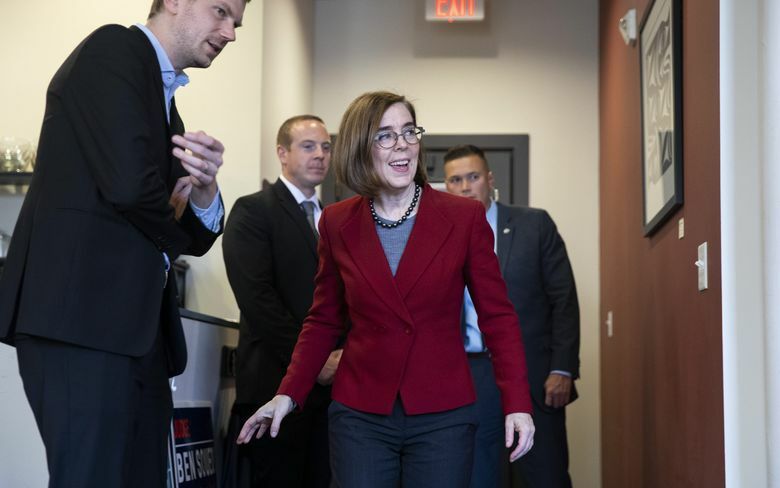 In a year when the number of major-party female candidates for governor has reached a high point, a poll suggests that Kate Brown, one of six women now serving as governors, has only a narrow lead over her Republican challenger. PORTLAND — The last Republican governor of Oregon left the state Capitol more than 30 years ago. Yet Gov. 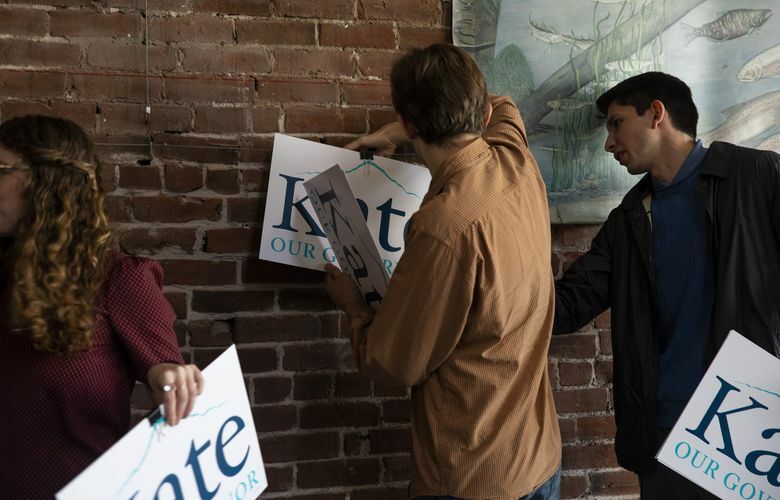 Kate Brown, the latest Democrat to hold the office, suddenly finds herself facing a serious challenge from a Republican as she seeks re-election. In a year when the number of major-party female candidates for governor has reached a high point across the country, a recent poll suggested that Brown, one of only six female governors currently in office, held only a narrow lead over Knute Buehler, a Republican state legislator who was little known by most voters only a few months ago. The Cook Political Report, a nonpartisan political analysis group, recently reclassified the governor’s race from leaning Democratic to tossup. In interviews with several dozen voters in recent days in the Portland area, people suggested that Brown’s re-election struggle may be less a reflection of some broader partisan shift in the state, and more about the details of her time in office. Some voters said Brown had not done enough to improve the state’s fiscal condition, while others tie her closely to her Democratic predecessor, John Kitzhaber, who resigned amid a scandal three years ago. Still others said that Oregon Democrats, so used to winning, had grown complacent about the race. “She’s been ineffective,” said Linda Giesbers, 59, a registered nurse who was eating takeout yogurt at a bus-stop in Hillsboro, a suburb west of Portland. Giesbers, who said she would probably vote for Buehler, said that the state’s public pension system was in shambles and Democrats like Brown were beholden to labor unions. Democratic-leaning voters like Sharon Soliday, the founder and chief executive of the Hello Foundation, a speech and occupational therapy company, said she thought Brown was hitting headwinds because of inequities in how Oregon has changed in recent years. The economy has boomed, especially in Portland, Brown’s hometown, Soliday said, but problems have also festered — including weak and underfunded schools, homelessness, and rural poverty, she said. Whoever wins the governor’s race has difficult choices ahead: A big state budget deficit, driven in part by an underfunded pension system for public employees, is looming next year. “We’re still looking at cutting services — potentially dramatically — because we just don’t have the funds, and so I think Kate’s also up against that,” Soliday added. 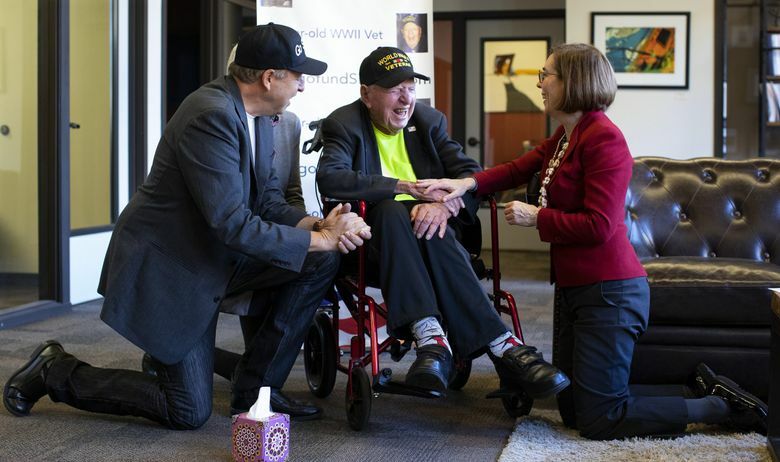 Brown, some voters said, has also suffered by comparisons to her once popular predecessor, Kitzhaber, who was the longest-serving governor since Oregon’s statehood in 1859. Kitzhaber resigned in 2015, a few weeks after starting his fourth term, amid accusations that his fiancée, Cylvia Hayes, had used her access to gain consulting contracts. No criminal charges were filed against either Kitzhaber or Hayes, who had been an unpaid policy adviser to the governor, but the Oregon Ethics Commission concluded that both of them had violated conflict-of-interest laws. 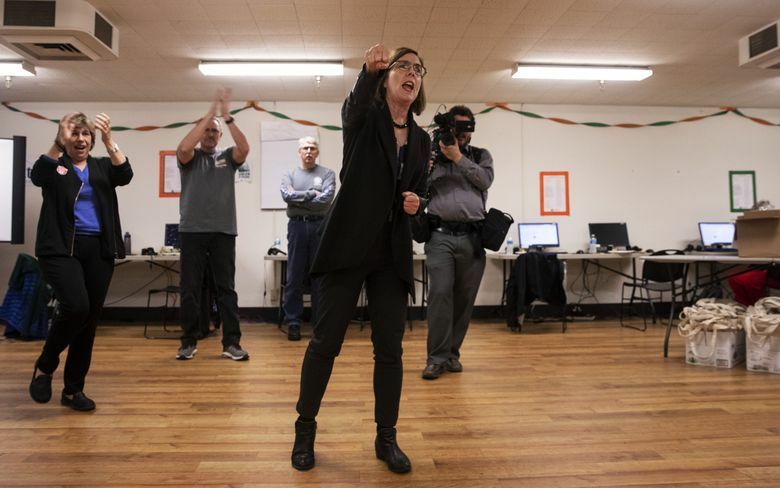 By contrast, Brown, who is 58 and the nation’s first openly bisexual governor, leans toward what one supporter called a “Portland anti-style,” — plain clothes, sensible shoes and clunky glasses that tend to slide down her nose. As secretary of state, Brown was first in the line of succession to Kitzhaber since Oregon has no lieutenant governor. Then Brown won a special election in 2016. This is her first time seeking a full four-year term. “I’ve heard people say, ‘I don’t feel energized by her,’” said Howard, who said she plans to vote for Brown. “People don’t say that about male candidates,” Howard added. 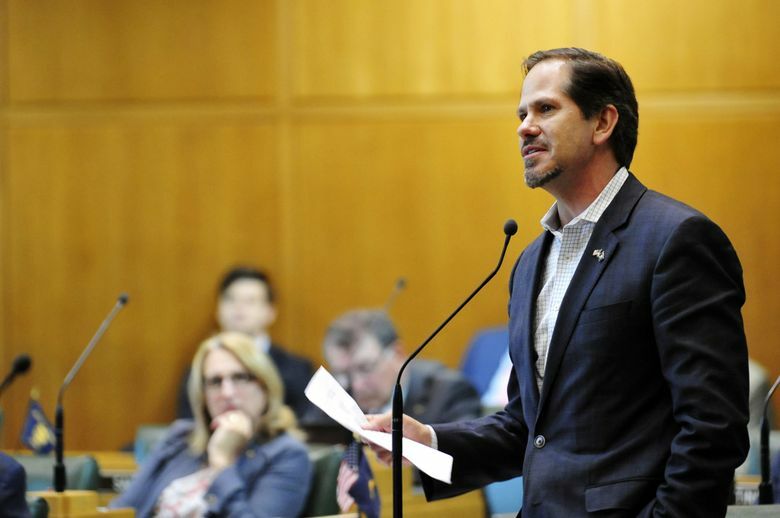 Buehler, an orthopedic surgeon, has made the pitch to voters that he would be a pragmatist governor, aiming to address Oregon’s problems the way he was trained as a doctor — diagnosing issues and addressing them with logic, not partisanship. His television ads have attacked Brown’s performance on everything from the state’s handling of mental health to child welfare. Buehler also has had an influential supporter in Phil Knight, the founder of Nike, one of the state’s largest private employers. Knight gave $2.5 million to the Buehler campaign, more than 20 percent of its total. While Brown is sometimes criticized for not doing enough in office to distinguish herself from Kitzhaber, she has also been blamed, by some Democrats, for his downfall. During the height of the Kitzhaber scandal, Brown was widely seen as the person who ultimately pulled the plug on his career. She went public describing what she called a “bizarre” meeting with Kitzhaber in which he seemed confused. Some Democrats said the new talk of a close race was exactly what Brown needed. Uncertainty, they said, would energize Democrats. “She’s a survivor,” said Therese Young, 70, a substitute teacher, who said she registered this year as a Democrat after a lifetime of voting as an independent. Dawn Heutte, an accountant, was walking through Portland’s Pioneer Courthouse Square on a recent lunch hour with her daughter Hannah, who is 15. Heutte strongly supports Brown; Hannah, who said her debate team and government class have been focusing on the election, said she would probably vote for Buehler if she were old enough. “He’s pretty moderate,” Hannah said. “His stands on different things have changed,” her mother responded. “I think a lot of Democrats assume they’re going to win, so they’re not going to come out, and if Buehler wins that’s going to be why,” Hannah said.